Visa-free travel for the Comoros Islands: Where can Comorians go? 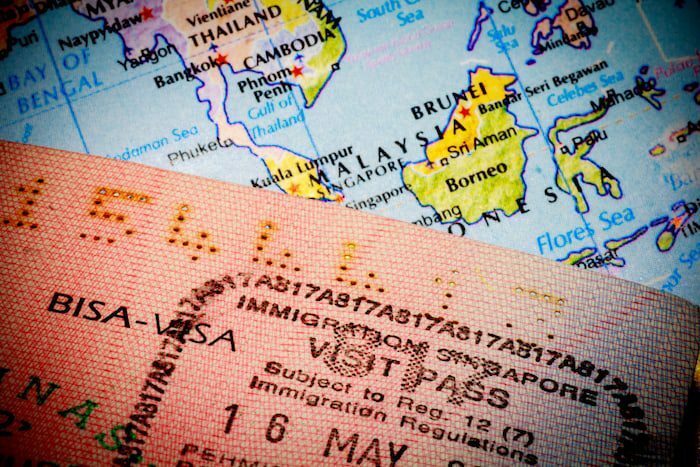 While a Comorian passport has limited visa-free travel worldwide, it provides great visa-free access to Southeast Asia. This is Week Fourteen of the 26 week series #MyEconomicCitizenship. Each week I give you a glimpse into my life as I share the ups and downs experienced in pursuit of a second passport through economic citizenship. Each feature includes my weekly journal walking you through the process of obtaining economic citizenship, followed by an in-depth look at some of the most important topics people considering economic citizenship should understand. The series is presented by Nomad Capitalist in partnership with Peter Macfarlane & Associates, whom I worked with to obtain my passport. To read the entire series, just click here. Last week I told you of my arrival to Malaysia on my Comoros passport that went like a breeze. I arrived a week before our Mastermind and when I came into immigration, I got out my Comoros passport and — though they were a little surprised and had to look in the book — I was let in without a hitch. The conclusion last week was that if it says you get 30 days visa-free, then they’ll let you in 30 days visa-free. However, everyone in Malaysia is so friendly and I’ve always said it’s one of the best places to go because pretty much anyone can go there, so I was curious to see how this would play out in another country. Leaving Malaysia they kind of looked at me a little funny, but then they said everything was good and I was on my way. Next stop: Indonesia. Now, supposedly, the Comoros passport should have visa-free entrance into Indonesia. In fact, on the flight there I saw an ad in an in-flight magazine advertising the recent change allowing 169 countries visa-free access to Indonesia. Just a couple months ago most people had to pay $40 on arrival. A while back they began to open up to places like Germany and Australia, and now they’ve opened up to just about everyone — the Comoros Islands included. According to the books, the Comoros passport shouldn’t have a fee either. But here’s the challenge with visa-free access on a passport such as mine: If the guy at the immigration desk doesn’t know, you’re likely out of luck. If it doesn’t work in practice, then it doesn’t matter what the law is in theory. Now, had I just stuck there and continued to bother immigration and insist on the fact that it is no longer visa on arrival and you don’t have to pay anymore, who knows what would have happened. I told the guy that I was happy to pay the $25 because I’m trying to use my new passport, but I eventually gave up because I just really didn’t want to bother with it. Especially after one of my team members got held in immigration jail last week after a misunderstanding about a visa, I didn’t want to cause any problems. SoI simply handed over my US passport and entered the country. But this situation brings up a lot of questions. There is an inherent issue in traveling to a country where your passport is not commonly seen. If you’re not among the country’s like the United States, Australia, Germany or others that are well-known pretty much anywhere you go, you may be met with some confusion. If your passport is not commonly seen there, then maybe they’re going to look, maybe they don’t know, maybe they’ll ask the guy next to them and it’s going to be a little bit of a pain. Of course, you can deal with the confusion and educate the immigration officials, but that’s something to think about. How long would it have taken if I only would have had the Comoros passport? Who knows? So it’s important to be prepared in that regard and that’s kind of an important note when you’re getting any economic citizenship that’s at a reasonable price. But beyond those issues, let’s take a look at where you can actually go visa-free (at least on paper) with a Comoros passport. To be honest, the options are pretty limited. Because of that, Comorian citizenship by investment is obviously the cheapest program available. 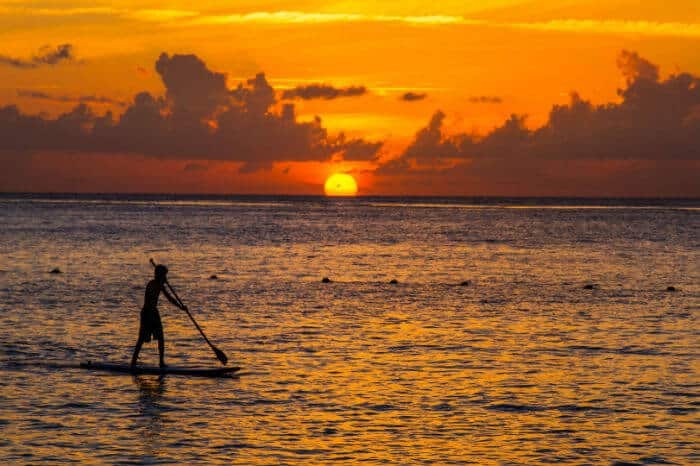 At $45,000 plus fees, it’s less than half the price of Dominica and St. Lucia. As we’ve talked about before, Comoros is really a Plan B passport. It’s not something you’re going to renounce your citizenship on, but it’s nice to use for different reasons — especially as the ultimate backup. It would be especially useful if used as part of my belt and suspenders strategy we’ve discussed here before. If you’re really desperate and really hard up and don’t have a lot of money and you’ve got to renounce, you can always get it as a travel document and then pair it with a residence that will give you better travel options. What I like about Comoros is that it can actually do a decent job of filling in the gaps of other Tier B passports — especially in Southeast Asia. I’m a big fan of Eastern Europe now, and I’m increasingly looking at residency and citizenship programs in the region. In general, Eastern Europe has great travel around the rest of Europe. For example, my team members from Montenegro and Serbia can go all around Europe except for the UK and Ireland. They can also go to a number of places in South America. Where they can’t go is Mexico and Central America and a decent amount of Southeast Asia. In the Balkans in particular, the past wars caused some issues with countries in Southeast Asia, which may explain why they still don’t have visa-free access here. But the bottom line is, if you’re looking at various countries in Eastern Europe (or any kind of country really), their best visa-free travel is in their own region. This often applies among countries of a similar religion as well, for example, Islam. Having this in mind, a different belt and suspenders strategy would be to have an Eastern European passport that allows you to go to all the touristy places in South America and Europe. For instance, Georgians can go to most of South America — even places like Brazil where Americans can’t go — and they will soon have visa-free access to most places in Europe. Other Eastern Europeans — including those in the Balkan region — can already go to the Schengen Area. So if you take a passport like that from Eastern Europe and pair it up with the Comoros passport, the Comoros passport actually does very well. But where exactly can you go? Of course, the Comoros passport includes visa-free travel to parts of Africa. 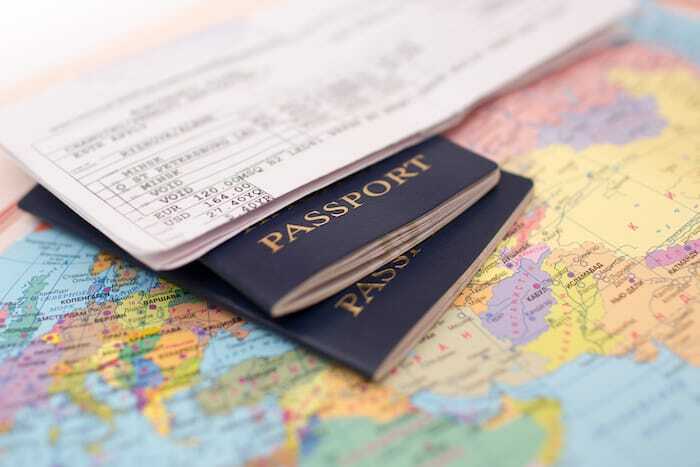 Every passport has their own different visa-free travel in Africa — it’s a very hit and miss type region when it comes to which countries you can get into. Most of the African countries, however, don’t look that appealing. You don’t get South Africa, Morocco, or Egypt, for example. If you did, I would have used my new passport when I was in Egypt. But where Comoros does really well is filling in the gaps that a lot of European and Tier B passports from the western world don’t fill in, particularly in Southeast Asia. Hong Kong: You don’t get much time in HK, but the 14 days you do have are enough to do your banking, set up your business, check up on your operations, etc. And, quite frankly, while I love Hong Kong, 14 days a year is all I’d ever want to spend there anyway. Macau: Just as Americans, citizens of the Comoros Islands only have to pay for a visa on arrival in Macau. I’t not that much different. So, with your Comorian passport you can take the ferry over from Hong Kong and gamble away. Malaysia: As I documented last week, the Comoros passport gets 30 days in Malaysia. This is the same amount of time that a lot of Eastern Europeans get. It’s certainly not the 90 days you get with other passports and I expect that visa runs are harder in Malaysia as a Comorian than as an American or German or whatever, but you still get 30 days. And that’s not so bad. And, again, in practice it’s worked for me. Indonesia: While you’re now supposed to get 30 days visa-free in Indonesia, note my experience. They claim you’re supposed to pay a visa on arrival fee, which I guess if I had just paid in advance I could have gone to the visa on arrival desk and paid it and then gone up to the immigration desk with my fee in hand. I imagine the immigration officer probably would have let me through with my Comoros passport in that case, but that’s the deal in Indonesia. Ecuador: They let pretty much everyone in. Comorians get 90 days. Nicaragua: They give visa on arrival to a lot of different nationalities, including 90 days for passport holders from the Comoros Islands. Cambodia: Just like US passport holders, citizens of the Comoros get a 30 day visa on arrival to Cambodia. Laos: As is the case for most everyone else, you’ll need to pay a $30 fee to receive a 30 day visa on arrival in Laos. I have my Cambodian e-visa issued, but you can also buy a visa once you’re there. India: While India allows $60 e-visas for Comorians just the same as they do for anyone else, India’s visa system is the worst system in the world. Panama: A generally friendly country to tourists, Panama gives Comoros passport holders a full 180 days in the country visa-free. These are the most notable countries on the Comoros Islands’ list of visa-free or visa on arrival countries. You don’t get some of the ones that are generally easy like Colombia and only get 47 countries in total. Compared to the best passport (Germany) which gives you visa-free access to 177 different countries, that’s not a whole lot. An average passport that you can use to go most places that you care about would give you access to about 130 countries. 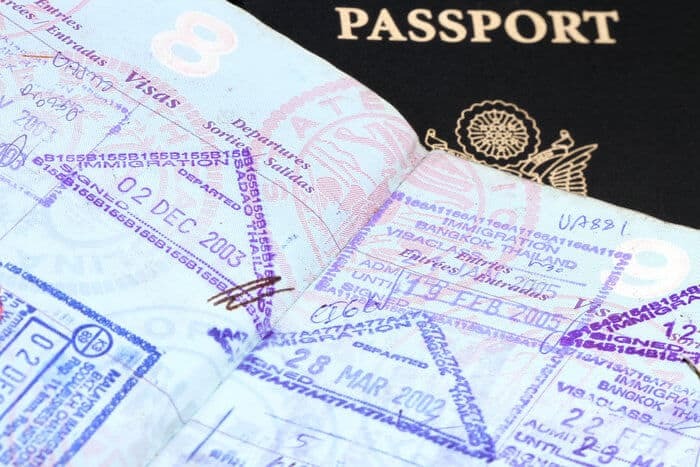 Passports in this category include countries like Serbia with access to 115 countries, Panama with access to 127, or Mexico with access to 139. So with a Comoros passport you are obviously well under that average. Still, there are a few beach countries that allow Comorians to come in simply because they allow most everyone in. Even Dominica allows Comorians visa-free access for 21 days. The Comoros passport is one that would work if you wanted to constantly bounce around the world through countries that just had beaches — Malaysia, Indonesia, Hong Kong every once in a while, the Philippines, Cambodia, Laos, Panama, Dominica, Ecuador, etc. Southeast Asia is the region that is best covered, but you get a little bit of Central and South America as well. The challenge with the Comorian passport is that it really is a Plan B passport. I think that visa runs are going to be difficult and you’re going to need a lot of transit passports. You can’t just fly through the UK, the US or Canada without getting a visa. I’m not even sure about the EU. You’re not going to be able to fly through a lot of places. You’re going to need a visa just to fly through on your way. So if you’re flying from Malaysia to Ecuador, you’re going to fly through heaven knows how many countries and you’re going to need transit visas for those. So it’s not the easiest passport to get around the world on. However, it’s one that — if you use it well enough — over time it could become a decent travel document. For instance, if you build up enough visas from Malaysia, Indonesia, Cambodia, Laos and others and just kind of bummed around Southeast Asia for six months and got a lot of stamps, you might be able to go and apply for a visa to a place like Serbia or Mexico. If you can show them that you’ve gone to these six different countries and you came and went as prescribed and did nothing wrong, then maybe you can got to a Tier B country. Then after going to a couple of Mexico-level countries, you could apply for an EU visa. And after you get the EU visa then maybe you could apply for Canada or the US. I highly doubt you could go right to applying for a Canadian visa, though, especially if you’re doing an e-visa. So that’s the deal. 47 countries. Obviously that’s not a lot. Still, the Comoros passport could make a good Plan B passport just to have in your back pocket. It’s going to be hard to travel all over the world, but it’s good for Southeast Asia. And it’s a great passport to pair with residency in the European Union or a passport from another country with complementary visa-free access to many other areas not on the Comoros list. Finally, it’s also a quick and cheap solution if you really need a passport to renounce on. The key takeaway, however, is to remember that what happens in reality is much better than what happens on paper. If you’d like to work with me directly to create a wholistic global citizenship strategy, then click here. We’ll go through an entire deep dive process to determine exactly what you need — from passports to residency to where you’re going to live — all so we can get you to your end goals. If you’re just interested in getting a passport and already know which passport is the right choice for you, then you can go directly to Peter MacFarlane & Associates’ website and contact them by clicking here. If you’re still determining which approach you should take, feel free to keep reading this series to garner all the knowledge you need to form a vision and actionable plan for the future. Schengen Area and Visa Free Travel for Nomads: How Does it Work? Why do you refer to “guys” in your articles? You wrote “I have helped hundreds of guys.” Isn’t that a bit sexist? It implies men. Wouldn’t it be better if you wrote “people” or “men and women”? Unless of course you really only help men.